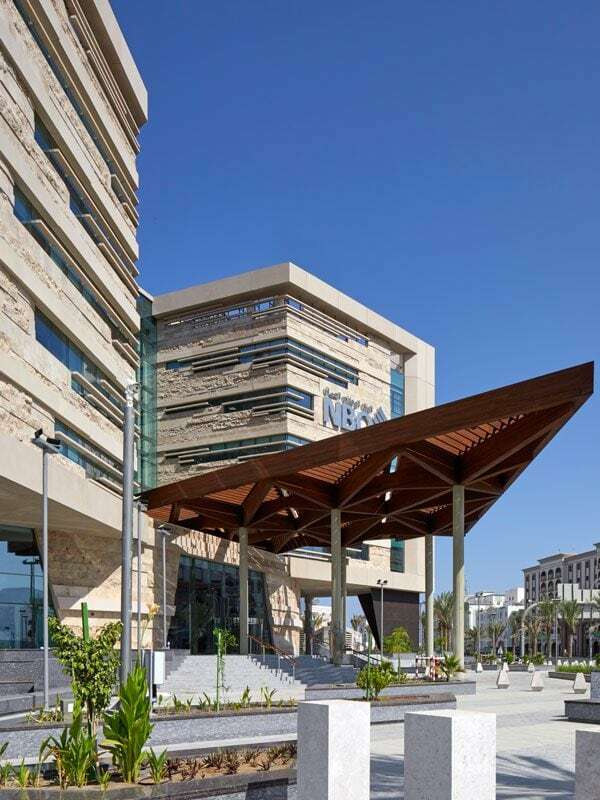 A substantial headquarters bank branch providing a comprehensive range of services in Muscat. 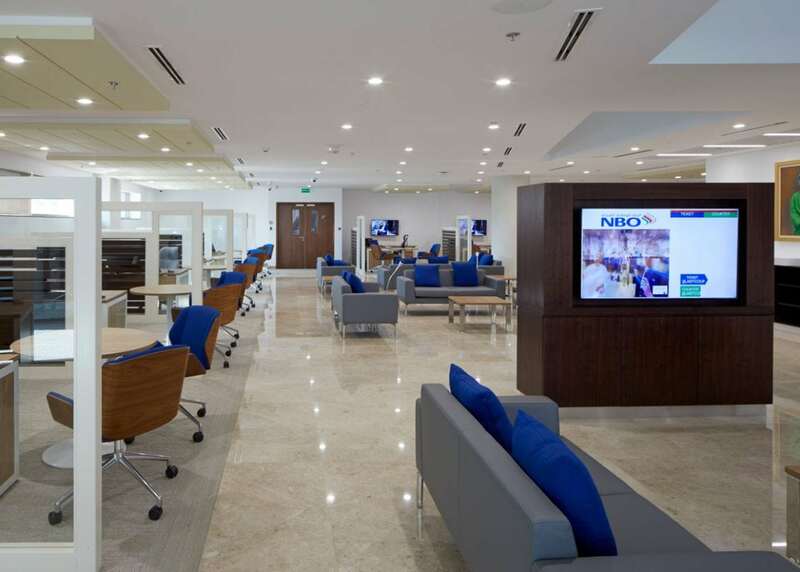 As part of the new Head Office for the National Bank of Oman, designed by our parent company LOM, FDP were commissioned to create a substantial new headquarters bank branch providing a comprehensive range of services. The new branch is located at the building’s main entrance, with direct access from the reception space together with a two storey glazed frontage to the public entrance plaza. 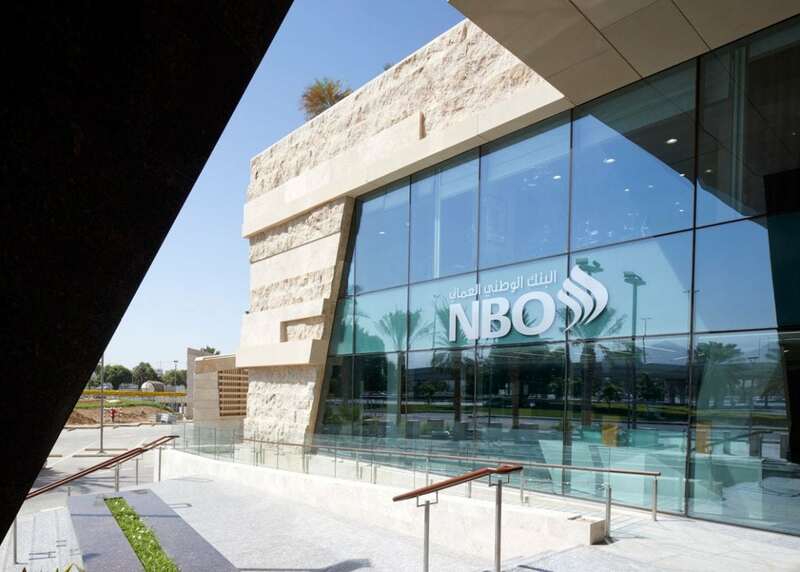 The new branch includes a digital banking area, self service wall, automated safety deposit system, teller service and customer consultation, and a large high net worth “Sadara” banking zone on the upper floor, opening into the building’s stunning central atrium. A new bright and contemporary retail interior was created for the branch, showcasing the bank’s new brand identity and delivering a high standard of customer experience within this unique landmark building. 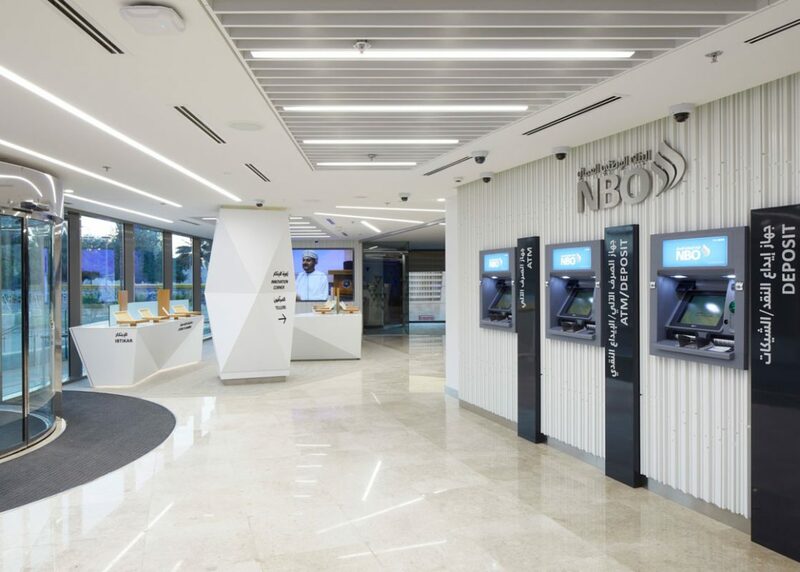 The new digital zone features a showcase area for new technologies, allowing the bank to demonstrate new digital banking applications and hardware to new and existing customers.